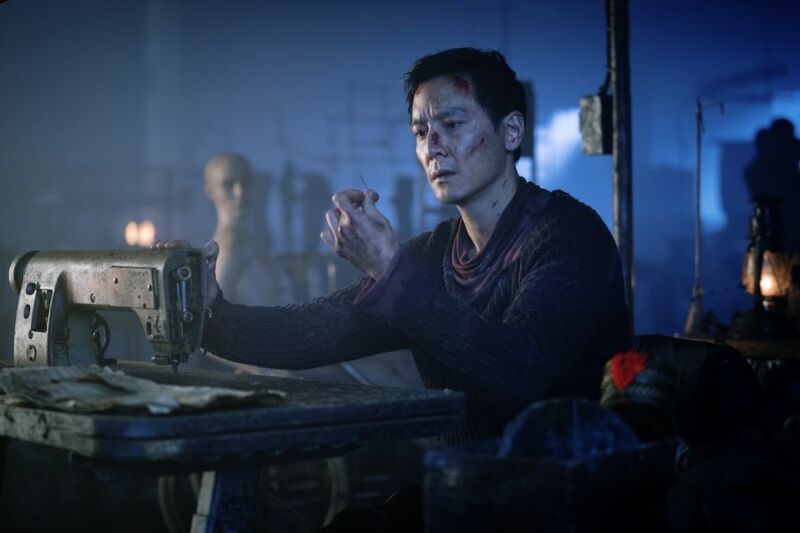 Into the Badlands season 3, episode 9, “Chamber of the Scorpion,” and episode 10, “Raven’s Feather, Phoenix Blood,” air soon, and we’ve got hints of what’s to come! Are you ready for Into the Badlands to return? I certainly am, although it’s bittersweet, since we recently learned these next eight episodes would be the series’ last. But fans aren’t giving up hope just yet, and I’m not ready to be sad it’s done. Instead, I choose to be excited that we’ll finally get some major answers in Into the Badlands season 3B. The following screener secrets don’t provide any major spoilers, but they do give some pretty exciting hints at what’s to come for our favorite heroes and villains. It wouldn’t be Into the Badlands if several characters weren’t close to death at any given time. Some of these are holdovers from the mid-season finale, but our heroes continue to find themselves in some pretty precarious situations. Even Sunny can’t get away without a few bumps and bruises, so expect to be in a constant state of worry at all times! There’s no way I’m going to spoil this one because it’s so heartfelt and genuine, you need to experience it for yourself. It’s a quick moment, so don’t expect it to linger, but it’s definitely there and it definitely happened. It’ll make even the most bloodthirsty clipper in the Badlands smile and it adds a little levity to an otherwise intense episode. Like any show with a large cast, Into the Badlands sometimes has to sideline minor characters in favor of keeping the focus on the main players. But just because it makes sense, that doesn’t make it any easier! Luckily, a fan-favorite character gets a shoutout in this episode, and while it might not be everything we wanted, it does feel like Into the Badlands’ creators were listening to our pleas. I’ll name names here. Pilgrim and The Window in particular will be acting out of sorts during the Into the Badlands season 3B premiere, but each one has a very different reason for doing so. Expect to see both of these characters showing a different side of themselves, and perhaps not a good side at that! By the end of Into the Badlands season 3, episode 10, someone will be betrayed. This betrayal will have lasting consequences for everyone, and it will definitely get the ball rolling as we march our way into the rest of the season. The question will be how long this person can play both sides and what will happen to them when the truth is revealed.